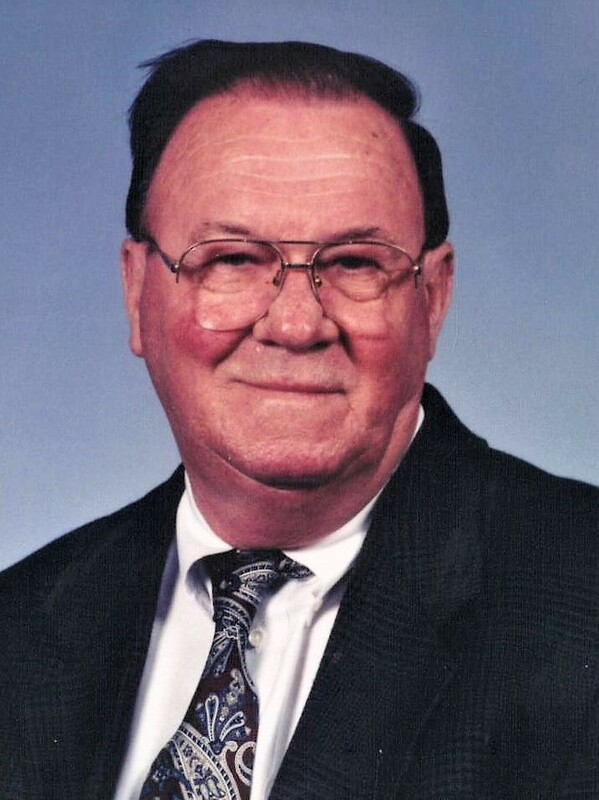 William Venton “Bill” Bull, 89, long time businessman of Muskogee, Oklahoma passed away on Wednesday, December 5, 2018 with his family by his side. He was born on July 3, 1929 to Fredrick Nolton Bull and Louise (Vest) Bull in Mansfield, Arkansas. Growing up Bill attended Fort Gibson Public Schools. He served in the United States Army during the Vietnam War and received an honorable discharge. Bill married the love of his life, Earldean Walters, in February of 1951. They spent many years of life and marriage together. Bill owned and operated both Bill Bull Motors and Bill Bull Chrysler Dodge for many year. He was State Representative in 1963 and was also the youngest Mayor of Fort Gibson, elected at the age of 21. Bill bought the first fire truck for the town of Fort Gibson. He was the secretary for Muskogee County Election Board from 2004-2012. Bill was a member of Fort Gibson First Baptist Church for many years. He enjoyed watching all kinds of sports on TV. He loved his family very much and loved spending time with them whenever he had the chance. Bill will be forever missed by everyone who knew and loved him. He was preceded in death by his parents, Fredrick and Louise Bull; his wife, Earldean; step-daughter, Lynn Grant; siblings, Nolton Bull, Jim Bull, Bob Bull and Mary Ellen Taylor; and granddaughter, Melissa White. Bill is survived by his children, Roger Bull and companion Pam Villines of Muskogee, OK, Dena Leach and husband Ronald of Fort Gibson, OK; grandchildren, Michelle Leach of Broken Arrow, OK, Leslie Bull of Muskogee, OK, Joe Landers and wife Becky of Haskell, OK, Stephanie Hutchens and husband Thad of Collinsville, OK, and Jeremy Landers and wife DeeDee of Fort Gibson, OK; great-grandchildren, Kiley Hyslope, Mason Hyslope, Alli White, and Avery White; brother, Jerry Bull of Houston, TX; his secretary of 43 years, Mareyn Lewis; and many nieces, nephews, other family members and friends. Bill’s family will receive friends and family members 2:00 P.M. - 4:00 P.M., Sunday, December 9, 2018 at Cornerstone Funeral Home Chapel. A celebration of Bill’s life will be 11:00 A.M., Monday, December 10, 2018 at Cornerstone Funeral Home Chapel with his brother-in-law, Butch Cook officiating. Entombment will follow at Memorial Park Cemetery with Raymond Taylor, Bart White, Ronald Leach and Robert Eller serving as pallbearers. Honorary pallbearers will be Charlie Randolph, Larry Garrison, Judge Mike Norman, Ben Robinson and Weldon Stout. Funeral services are under the direction of Cornerstone Funeral Home, 1830 N. York St, Muskogee, OK. Condolences may be sent to the family online at www.cornerstoneofmuskogee.com.